EPSRC has up to £5M available to support collaborative, international and problem-driven projects which address the human dimensions of cyber security. These challenges must be the sole or main focus of any proposal submitted to this call and proposals must clearly and directly address one or more of them. All proposals should have advances in EPSRC’s understanding of cyber security, as represented by the contents of the technical scope, as their main aim. For more information about EPSRC’s portfolio and strategies, see their website. 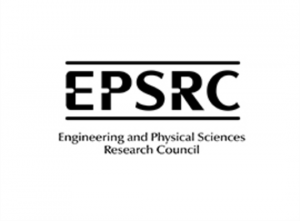 EPSRC has up to £5M available to support around six projects resulting from this call. All the challenges outlined in the associated technical scope require collaboration across disciplines and with problem owners. In support of this, proposals should request resources to allow all their academic partners to collaborate successfully for the duration of the project. This might include staff exchanges, travel and subsistence, workshop- type meetings to develop research programmes and dissemination of interim findings. As an indication that research concepts have been benchmarked and validated internationally, we would like all proposals to incorporate collaborations with researchers who are recognised as global leaders in their fields. In support of this , proposals should request resources to allow recognised researchers and/or members of their associated research teams to visit and be a substantive part of the project in the UK, and/or for UK partners to visit leading overseas collaborators to work in pursuit of the project’s overall aims. There is no shortage of real-world problems, both long and short term, that create opportunities for high quality research. Proposals should address a recognisable challenge and set out a credible path to finding a solution. In support of this, proposals should request resources for continuous engagement with problem owners and system or solution providers, ideally to support genuine co-creation of research programmes. Proposals will be assessed initially by anonymous expert reviewers and then, for proposals receiving sufficient support, by a panel who will make funding recommendations to EPSRC. Researchers looking for advice on engagement with non-academic stakeholders to get some help with the “Pathway to Impact”, please contact Dr. Tristram Riley-Smith by email (tr356@cam.ac.uk). To support this call, the Partnership has established database to facilitate networking opportunities between academic researchers across disciplines, and between academic researchers and non-academic stakeholders. You are invited to register your contact details, research interests and project proposal on the database.